Every 100 miles, we’ll prepare a summary of our experience along with other beta for the trail! In this case, it’s more than 100 because the approach trail doesn’t count towards the total mileage of the AT (but we highly recommend doing it anyway!). 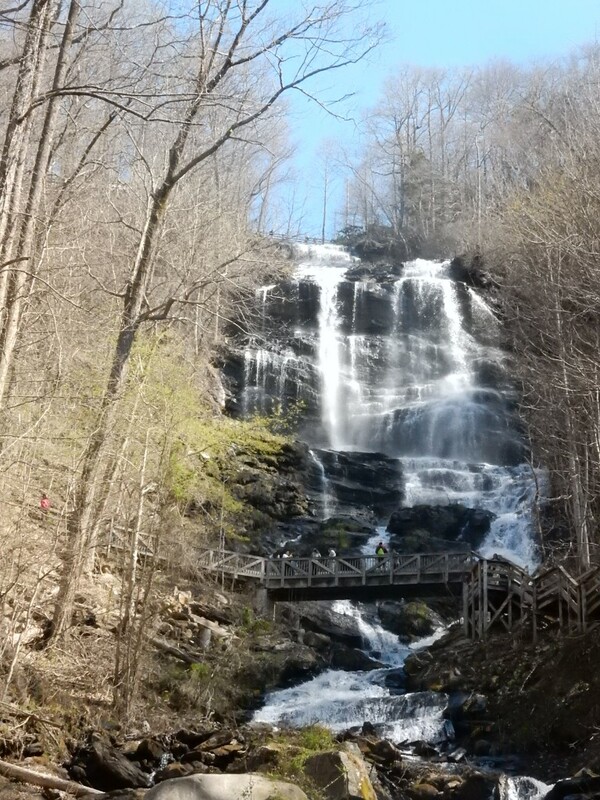 Amicolola Falls was incredible! We checked in at the base and weighed our packs… Bit on the heavy side with food & water. Claudia- 30#, Andrew- 43#. Gloria slackpacked us to the top of the 600+ stairs and Paige & Daniel walked with us. At the top, we prayed and said goodbye. We signed the registry again on top of Springer Mt. The sunset and sunrise were both stunning from our campsite. In the first 100 miles, the AT passes through Georgia & North Carolina. The trail summits several mountains, follows ridge lines, and dips into gaps. After 78.5 miles there is a small wooden sign on a tree announcing the first state crossing. 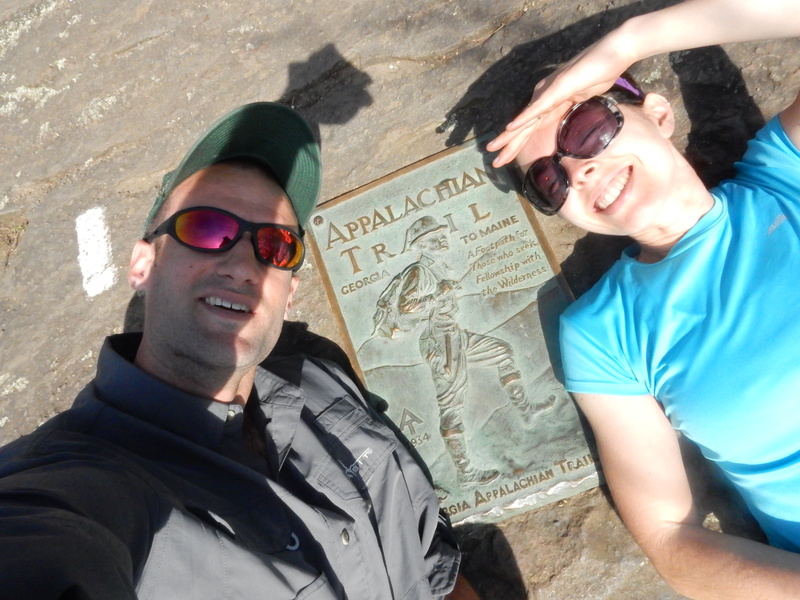 It is monumental for thru-hikers! 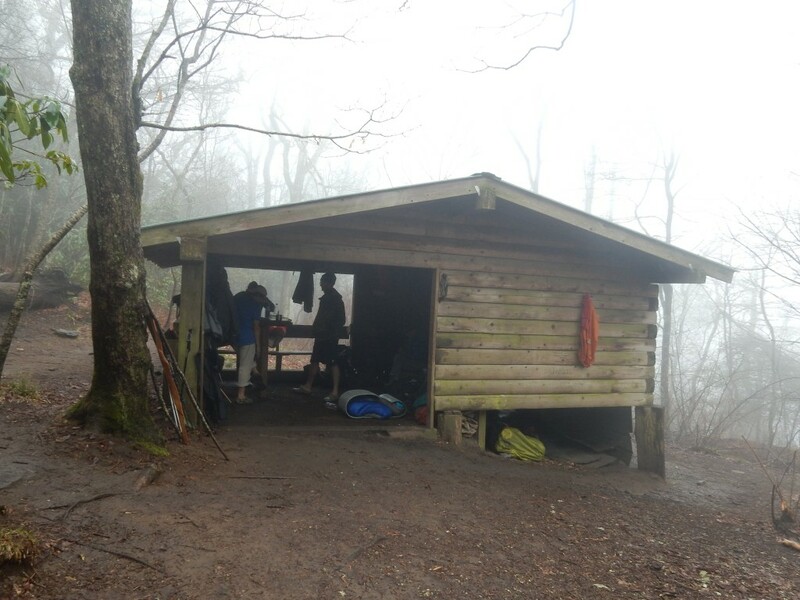 On day 4 we hit our first resupply at Neels Gap. It was nice to get more food and Tortuga even shared his hot supreme pizza! A lot of people drop off at this point for various reasons. The tree is full of boots from those that have quit (or just gave up on boots and switched to shoes…). Easter was a very wet & soggy day. No sunshine but we rejoiced none the less! The sun always comes back, not always right away, or even the next day, but we always sleep warm & dry. Blue skies are great but fog is fine too. Trail magic has been, well, magical. We’ve received soda, homemade cookies, and beer. Two thru-hikers from last year carried a full cooler of beer and Gatorade to Standing Indian shelter to share! Impressive!! Big Country (& his dog Ammo) told us military stories for a couple miles and then ended up giving us a ride later on. Cooking has been an interesting endeavor! We are using a different system than most. (I have yet to eat Ramen or tuna.) It’s a creative process using dry ingredients and spices. We take turns each night and share/rate our recipe. There is a back country chef, Greg Ward, who we met online previously through Appalachian Trials. We’ve camped with him a few times and it’s great to get professional feedback! 2/3 cup rice, 2/3 cup quinoa, 2/3 cup TVP chicken bits, 2-3 Tbsp dried tomato paste, 2-3 Tbsp dried spinach, 1-2 Tbsp dried onion, generous amount of oregano, cover in Pepperoni once cooked. 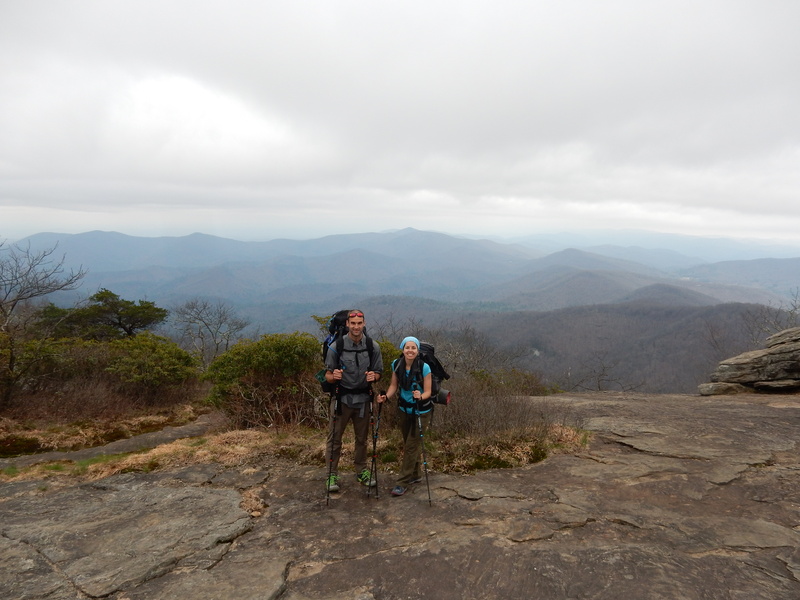 Spring Mt (.2 of AT, 8.5 of approach trail), Justice Mt cave/overhand (12.8), Lance Creek (11.5), Bull Gap (8.5), Poplar Stamp Gap (11.8), Tray Mt (14), Plum Orchard (15.5), Standing Indian (12.2), Carter Gap Shelter (7.6, huge thunderstorms), on day 10 we hiked to Albert Mt (100 mile mark) and then on into town… which we’ll document later on! Top of Georgia was not a good resupply. We just bought a few snacks to supplement our food and it was over $30. We did enjoy a soda and ice cream there but they weren’t super friendly, which is odd because their business is built around hikers. 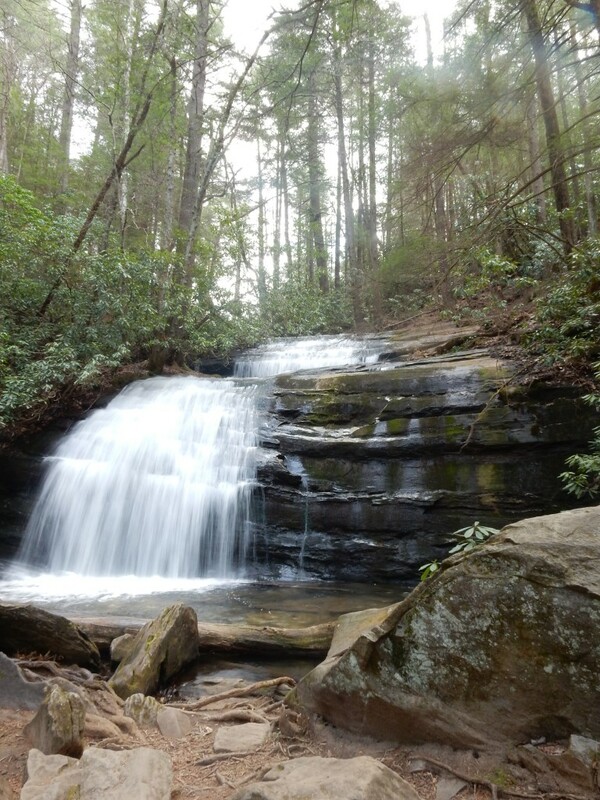 Long Creek Falls, mile 5.2, don’t skip it!!! What are we carrying? Way too much! Introducing Lollygag and Little Rhino! 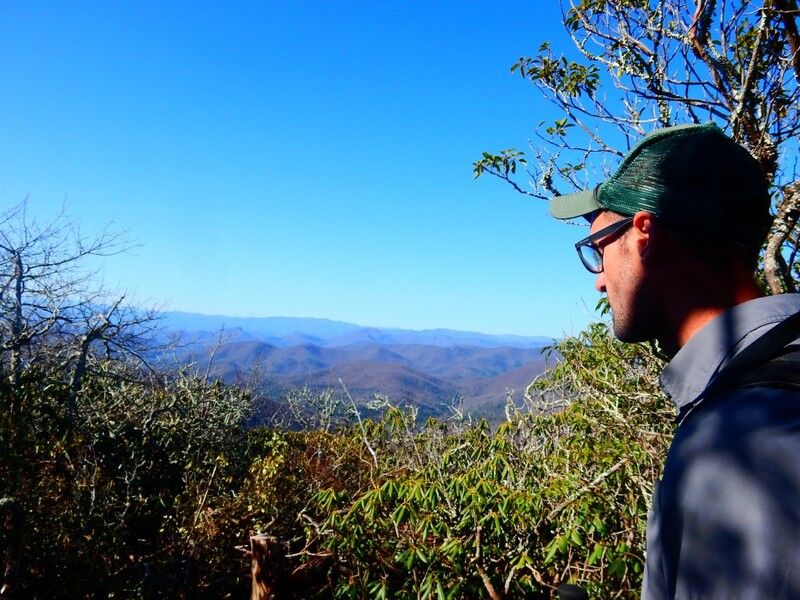 1st big challenge- Blood Mountain. People talk like it’s Everest but it was actually very enjoyable! 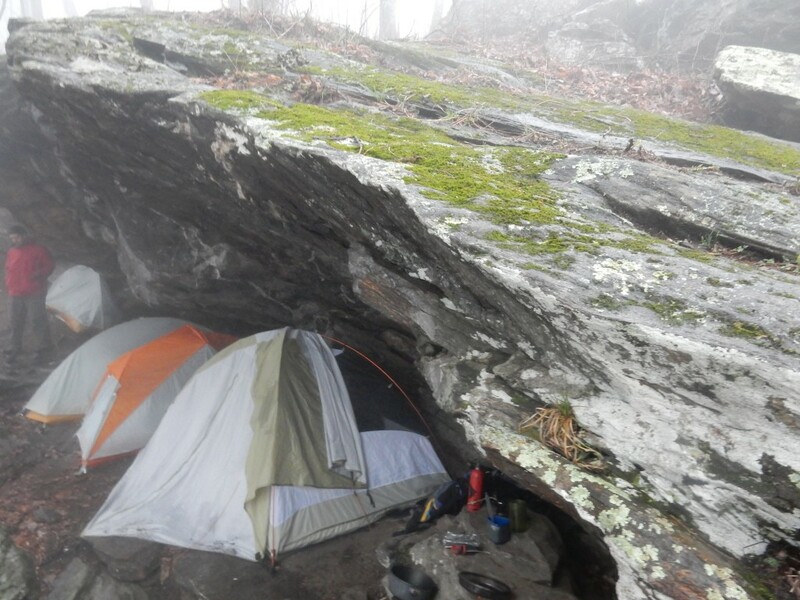 Example of a shelter- this one is Carter Gap, NC, and the only one that we’ve stayed in so far! We bunkered down around noon to avoid big thunderstorms. Celebrating 100 miles at Albert Mt Fire Tower! I love all the ways you’ve seen unexpected blessings on this journey so far. 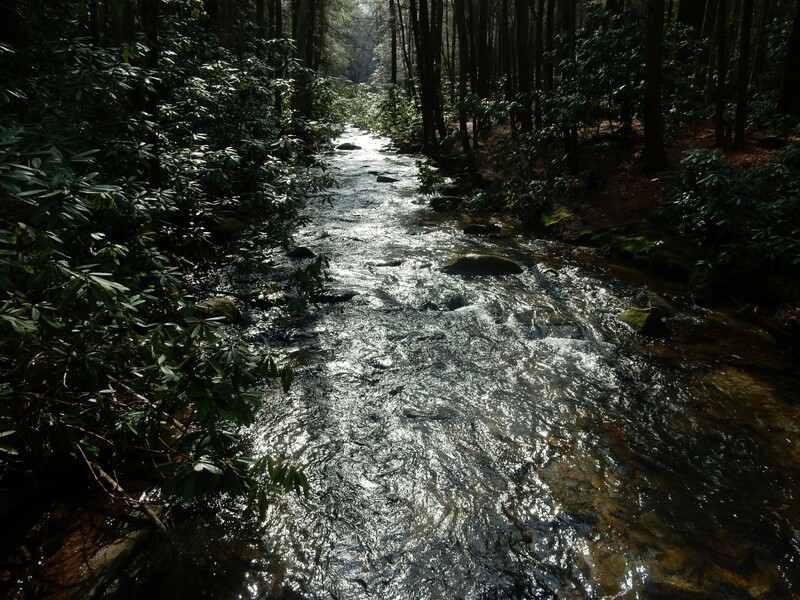 How cool to experience trail magic firsthand! Your campsite on Justice Mtn. looked very cozy. And you got to camp with a professional back-country chef?! BEYOND AWESOME. Miss y’all. Sending love and prayers. Yes, lots and lots of trail magic and blessings along the way! Each and every day! Missing you dearly! Thanks, Heidi! Looking so forward to seeing the Devines! Just looked up the Newport Marathon… who knows, it could happen! New post coming later today! Thanks, Mike! Hit our 200 mile mark- so far, so good! Hope all is well at UAMS! Thanks for sharing your journey! Praying for continued safe hiking! Love your format and detail! Thank you SO much for sharing!! Saying a little prayer every night for you two and all the hikers taking this journey. May this be everything and more you are hoping it to be. Keep walking North!!!! Thanks for the encouraging words! Your prayers are appreciated! I work with your Mom [email protected] SAMC. I am amazed by what you two are doing. You will never have to say “I wish we would have…” Will love to follow your travels. Stay safe and enjoy every minute! Thanks, Kris! Yes, we are trying to live life with no regrets! So far, it’s been one of the most incredible experiences of my life and we’re only 200 miles in! 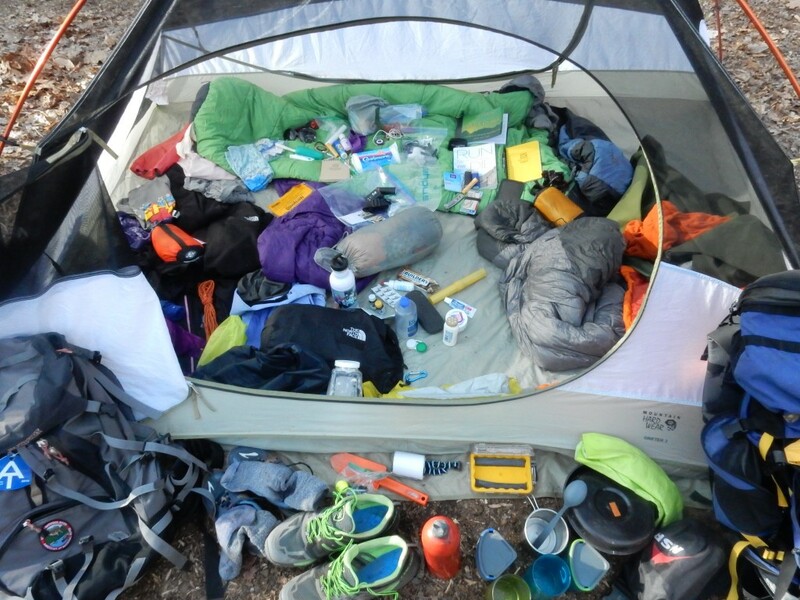 I don’t want to alarm you but did you know that the entire contents of an REI store exploded in your tent? I’ve been following your back country chef for awhile now. Next time you run in to him, tell him to put down the saute pan and pick up the pen!!! He hasn’t done an update here since starting the trail. Happy hiking and stay safe/healthy. LOL, yes, we have figured out that we have way too much… some our stuff is really dated too. Going to REI in Knoxville today on our zero. May get a new pack for Lollygag and even a new tent. I can’t keep up with Greg… he lost me last week sometime and I haven’t seen him since. He took off for Fontana and said he would slow down after that. Hopefully we catch him at some point! Thanks for sharing your experiences! I’m enjoying reading your blog. It’s too bad we were off on schedules by a week. Would have been very fun to host you and your friends for a night. Stay safe guys! Praying for you! Thanks, Justin! We appreciate that more than you could know! Valuable writing ! For my two cents if you want a 8880 form 2015 printable , my colleague filled out and faxed a fillable version here “https://goo.gl/2mnK7v”.